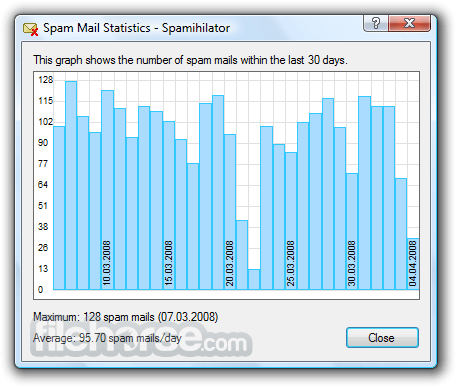 Spamihilator 64-bit works between your email client and the Internet and examines every incoming message. Useless and unsolicited spam mails (junk) will be filtered out. This process runs completely in the background. Spamihilator 64-bit uses a number of different filters in order to achieve the highest spam recognition rate possible. The program is highly configurable and can be extended by plugins. Download Spamihilator for free today! Spamihilator uses a number of different filters in order to achieve the highest spam recognition rate possible. The Learning Filter (Bayesian Filter) uses the rules of Thomas Bayes (English mathematician, 18th century) and calculates a certain spam probability for every email. Therefore the Learning Filter already recognizes more than 98% of spam mails. You can even train this filter! So it will know your messages even better than you. Add your buddys’ mail addresses to the list of friends. Spamihilator will render all messages from these senders to your mail client without filtering. 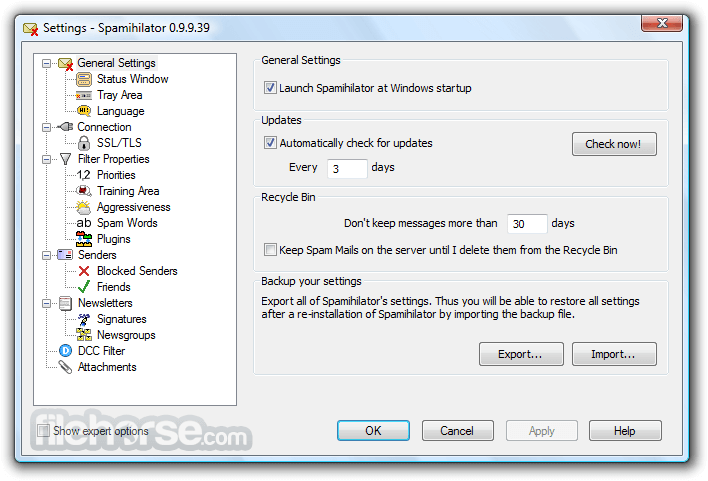 All recognized spam mails will be saved to the Spamihilator Recycle Bin. They will not be rendered to your mail client. So, a best possible separation between Spam and Non-Spam can be achieved! Of course, you can restore messages from the Recycle Bin. Spamihilator is able to process the widely used mail protocols POP3 and IMAP. It therefore can be used with almost every email client and email server. Spamihilator runs with all mail clients that support POP3 or IMAP. Of course, there is a Setup-Wizard, which automatically configures your mail client.